From the inside front fly leaf: This first of three volumes traces the history of 72 Fighter Squadron, one of the premier squadrons in the Royal Air Force. The aircraft flown, operational personnel and missions flown are fully described with first-hand accounts from pilots and both air and ground crew. Having been first established in 1917 the squadron was disbanded in February 1918. It was re-formed in February 1937 from 'B' Flight of 1 Squadron and was equipped with Gloster Gladiators. In 1939 it was re-equipped with Spitfires which were used in air defence and convoy protection sorties following the start of the war. In 1940 the squadron moved to assist in the evacuation of Dunkirk. 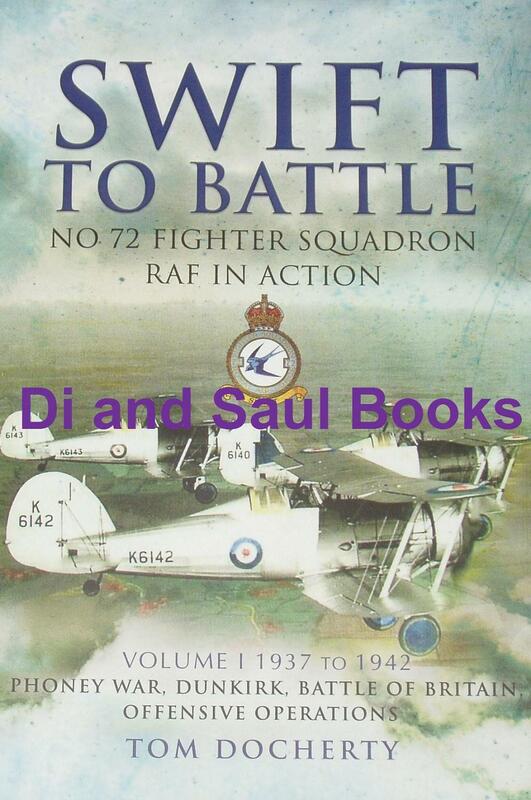 During The Battle of Britain, 72 spent the early days at RAF Acklington as part of 13 Group before moving south during September to assist the main defence force. The squadron then flew penetration 'Circus' missions over occupied Europe with the intention of causing havoc to the German forces and also to lure German fighters into combat.